Incredible custom house with 30ft windows at the Peninsula on Norris Lake. Located on a premier waterfront lot with exception views of the Chuck Swan Wildlife Management Area and Norris Lake. 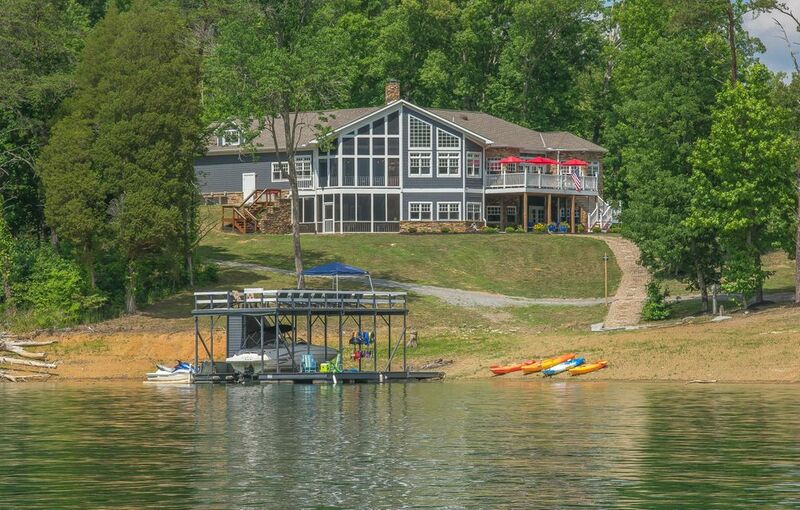 Enjoy lakeside living in Tennessee with 4 Bedrooms/5 Baths and 8,100 sq ft of living space. 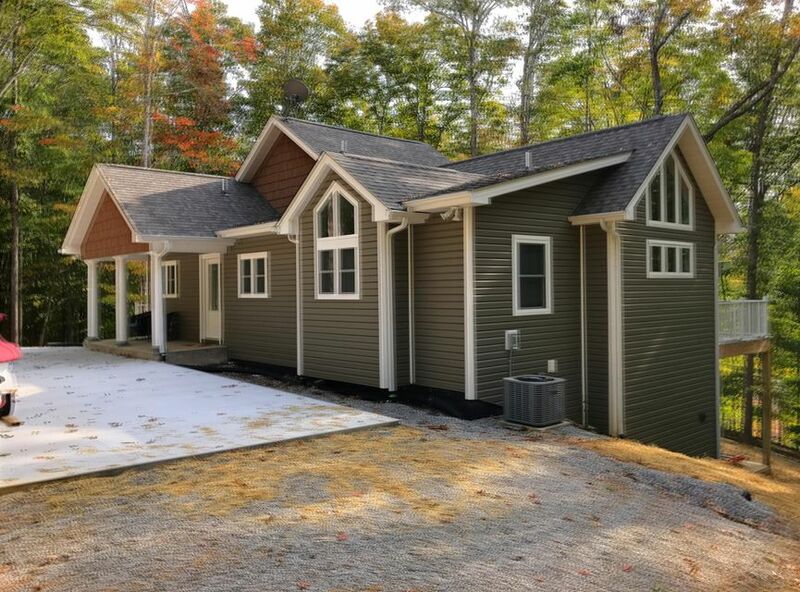 This lake house was built in 2008 and includes all the modern amenities you would want including a 4 car garage with built-in cabinets and boat dock! Amenities for this fully furnished home include custom cedar siding and stone exterior, large open main living area with 30ft knotty pine cathedral ceilings, wide open windows, island in kitchen, all stainless steel appliances, refrigerator, range/oven, microwave, dishwasher, disposal, wet bar, cedar siding, walk-in shower, downstairs family room and kitchen, upstairs game room with incredible lake views, Otis elevator serving all three levels, full house sound system, reclaimed barn-wood flooring in main living area and master bedroom, floor to ceiling custom windows in living areas, views of the lake from every room, over 2,200 sq ft of covered basement walkout, over 3,000 sq ft of porches and patios overlooking the lake - one open, covered and screened, Pella windows, custom wood trim throughout house, slate, tile or barn wood floors in common areas, all granite counter-tops in bathrooms, professional landscaping and more! Call today to schedule a tour at (800) 485-1290. More photos to come!